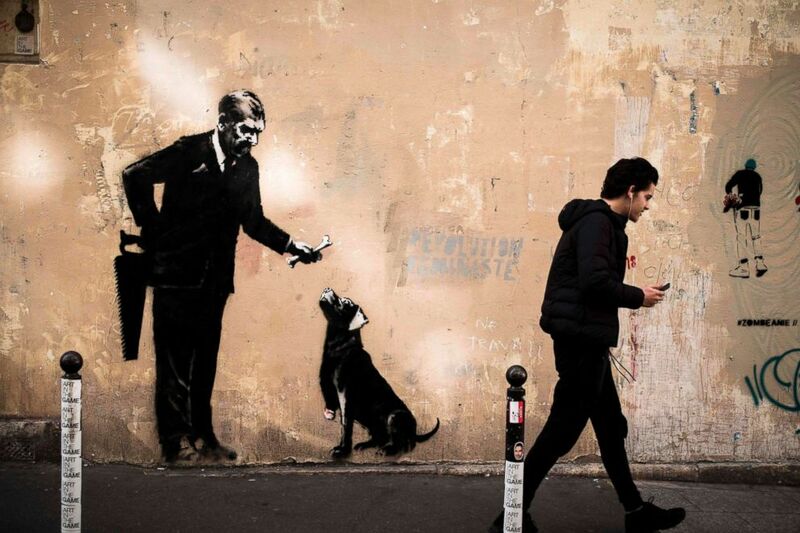 New works attributed to street artist Banksy have been discovered in Paris. 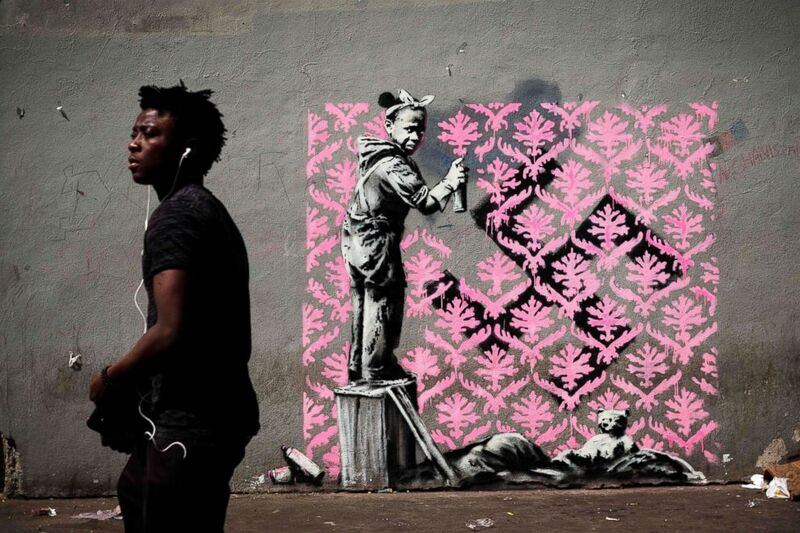 (Philippe Lopez/AFP/Getty Images) A man walks past a recent artwork by street artist Banksy in Paris on June 24, 2018. 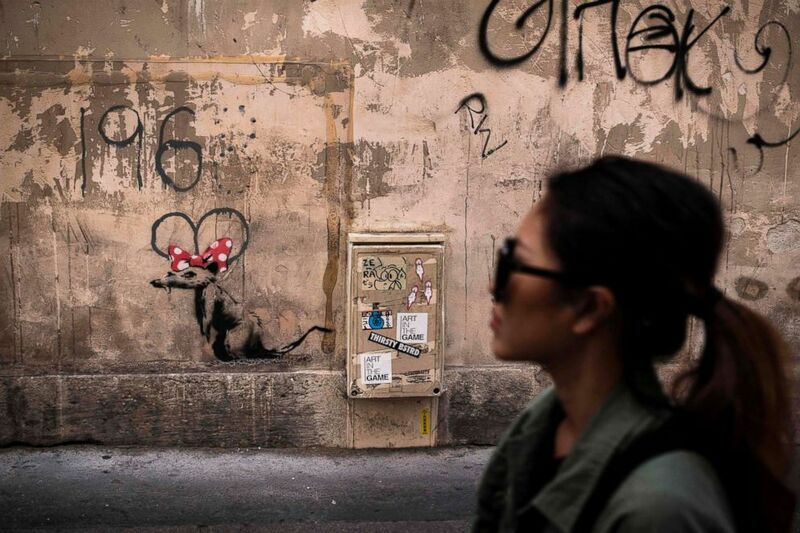 (Philippe Lopez/AFP/Getty Images) A woman walks past a recent artwork by street artist Banksy in Paris on June 25, 2018. 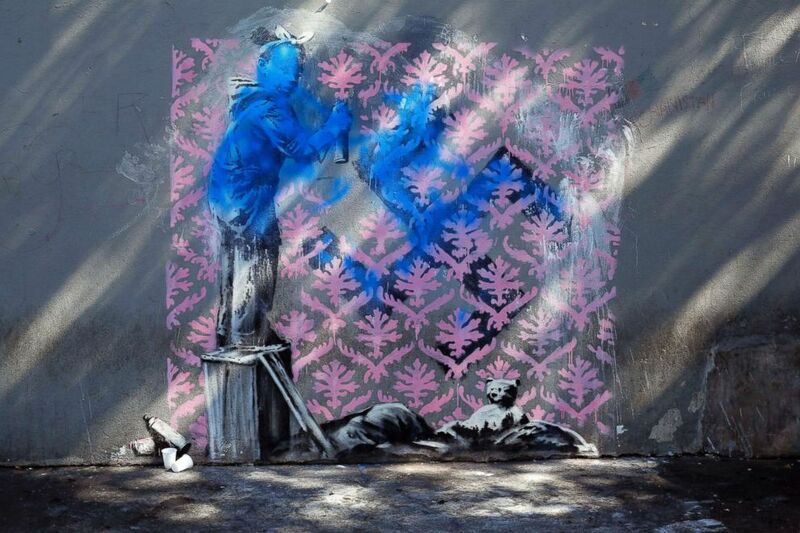 The mysterious British street artist Banksy appears to have taken aim at the French government's crackdown on migrants in a series of new murals in Paris. 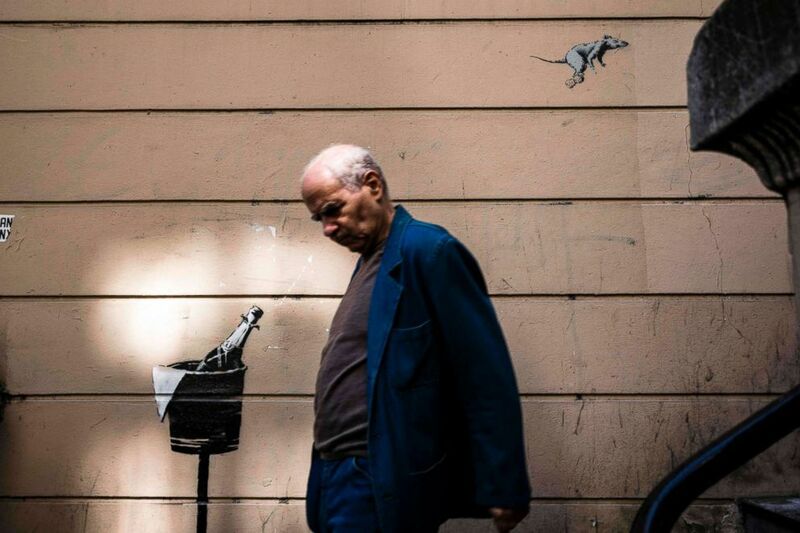 (Philippe Lopez/AFP/Getty Images) A man walks past a recent artwork by street artist Banksy in Paris on June 25, 2018. 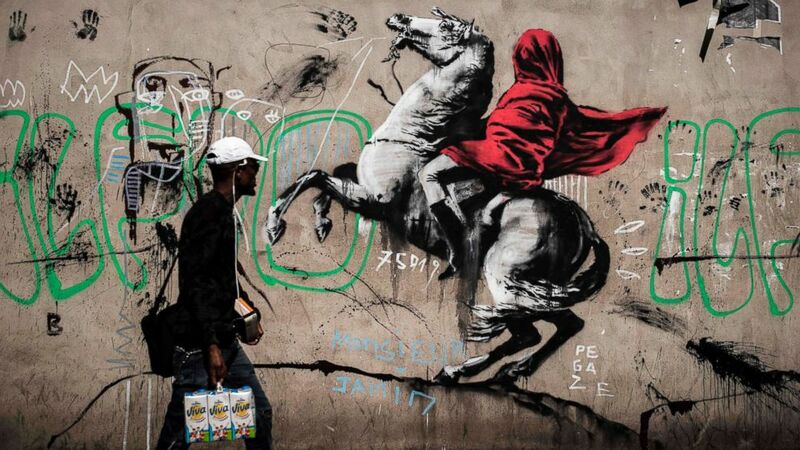 Anonymous street artist Banksy's artwork of Napoleon Bonaparte wearing a headscarf inspired by the original painting by Jacques-Louis David was found in northern Paris. (Philippe Lopez/AFP/Getty Images) A man walks past a recent artwork by street artist Banksy in Paris on June 25, 2018. (Thibault Camus/AP) A graffiti believed to be attributed to street artist Banksy is seen on a wall in Paris, on June 25, 2018. 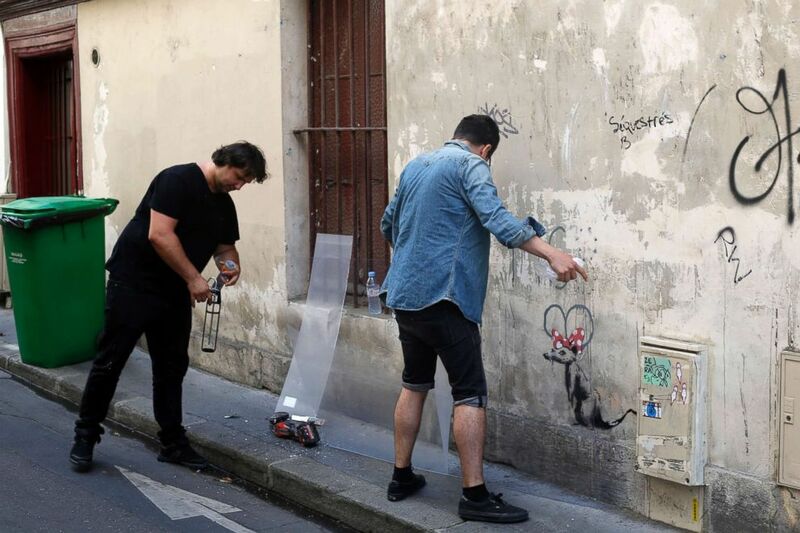 (Thibault Camus/AP) Two men place a protective board over a graffiti believed to be attributed to street artist Banksy, in Paris, on June 25, 2018.